Have a flair for life. 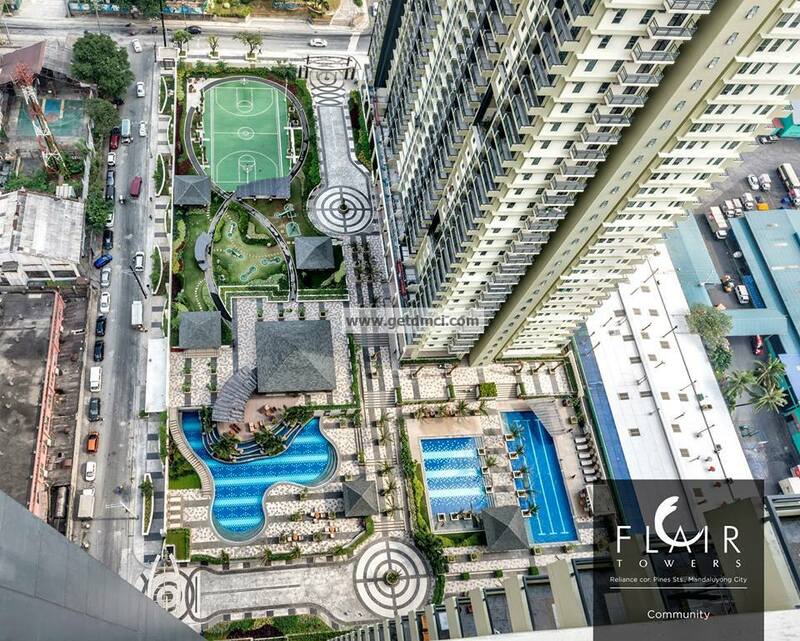 Find the perfect combination of homey comfort and modern in city living only in Flair Towers. 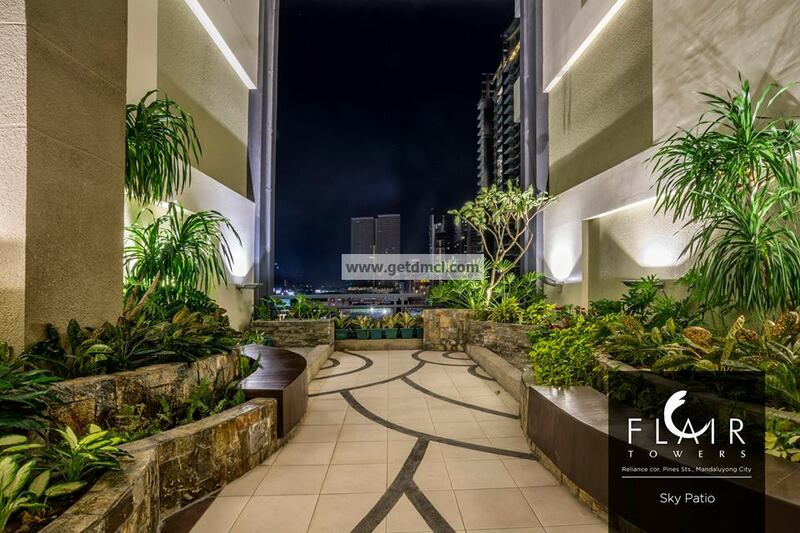 Developed with the typical urban family in mind, Flair Towers offers the seamless blend of resort-like and country-club living. 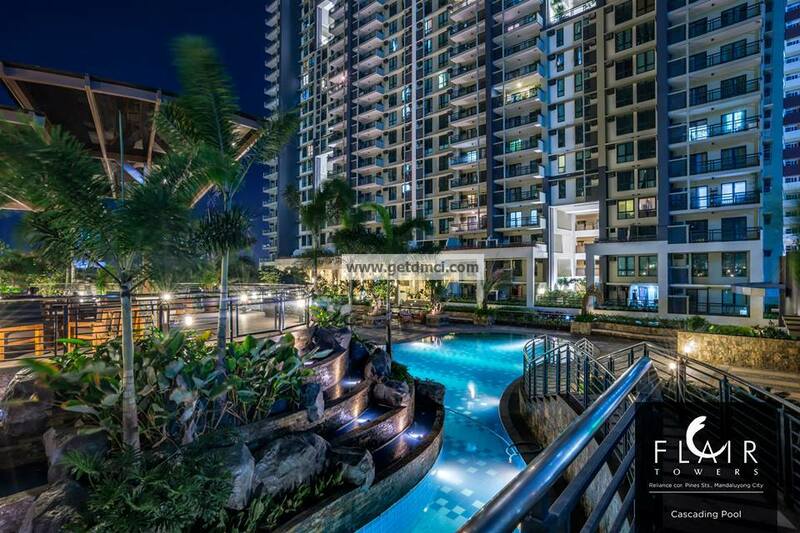 Be one of the few to experience first class cosmopolitan living right in the heart of the Mandaluyong CBD. 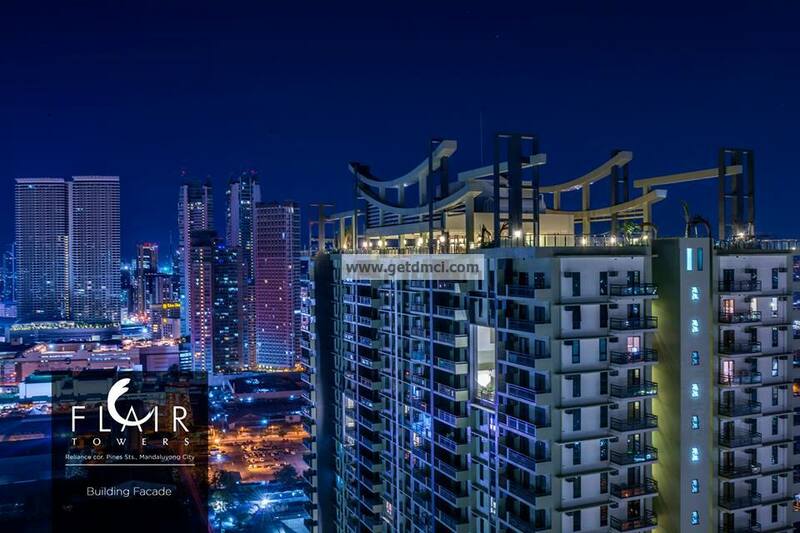 With approximately 70% of its land area allotted to amenities and buildings infused with the Lumiventt design technology. Total land area of 1.45 hectares. 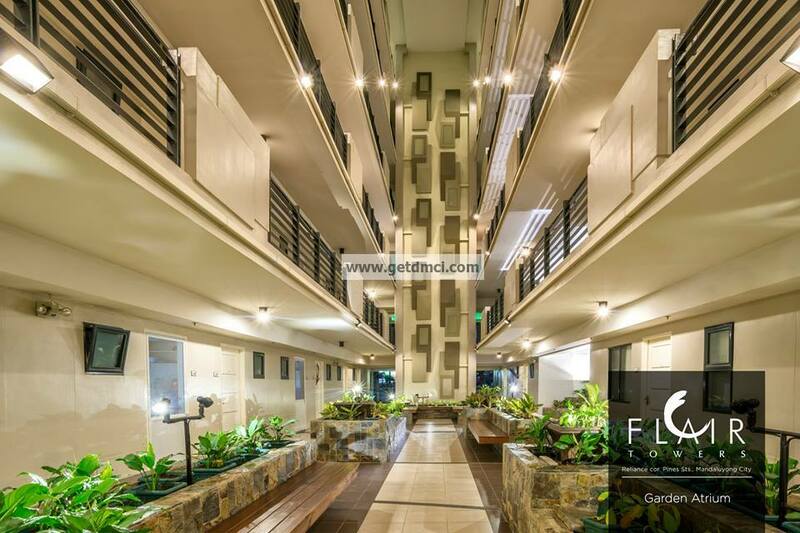 Flair Towers in Mandaluyong is an exclusive medium density condominium development with a “Modern Tropical” architectural theme. The whole concept of the design revolves around the basic elements of life: Light, Water and Space. It’s a fully seamless integration of the lush landscape and the modern structures. 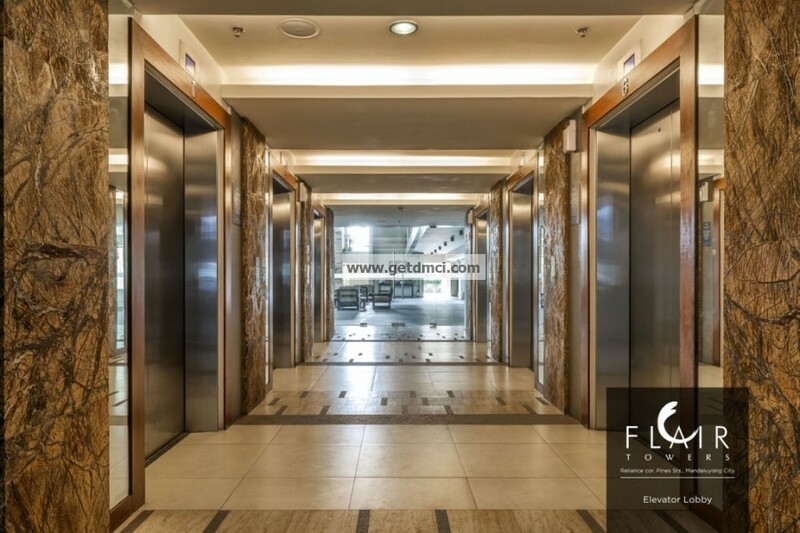 Centrally located and within minutes from the Ortigas, Mandaluyong and Makati CBDs and numerous BPO companies, Flair Towers is the ideal melting pot for the workforce within these areas. 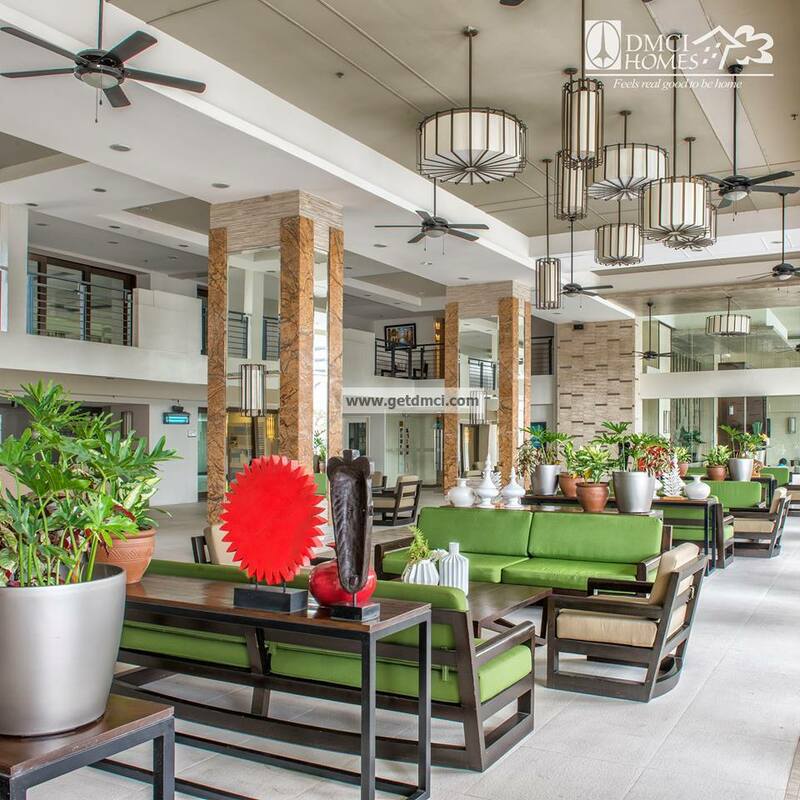 Aside from savings on gasoline, cost of commute, time and energy efficiency due to its building design, the property also poses great leasing potential due to its proximity to major shopping establishments and educational institutions. All these benefits are well within an affordable pricing package indicative of the developer. 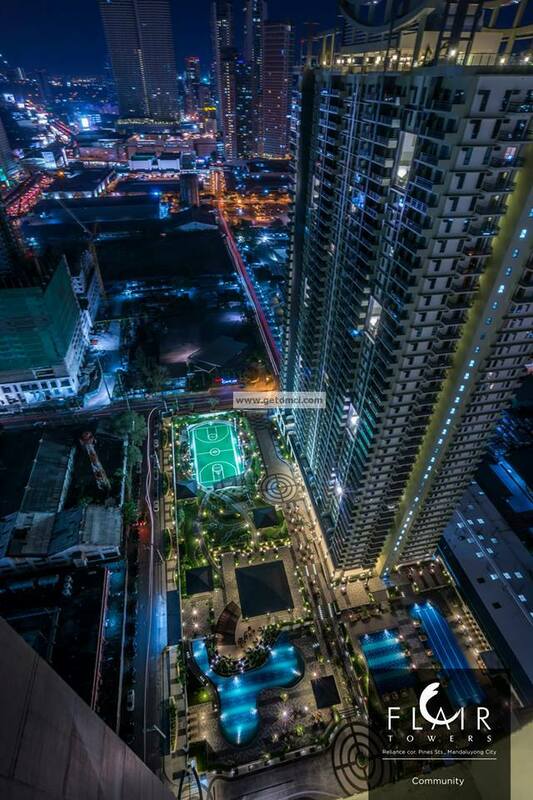 Strategic Location Located at the center of Metro Manila, Mandaluyong City is nicknamed the "Tiger City of the Philippines" and "Metro Manila's Heart“ because it lies in the middle of the Golden Triangle of Makati, Manila and Quezon City and straddles Metro Manila’s economic beltway that is EDSA. 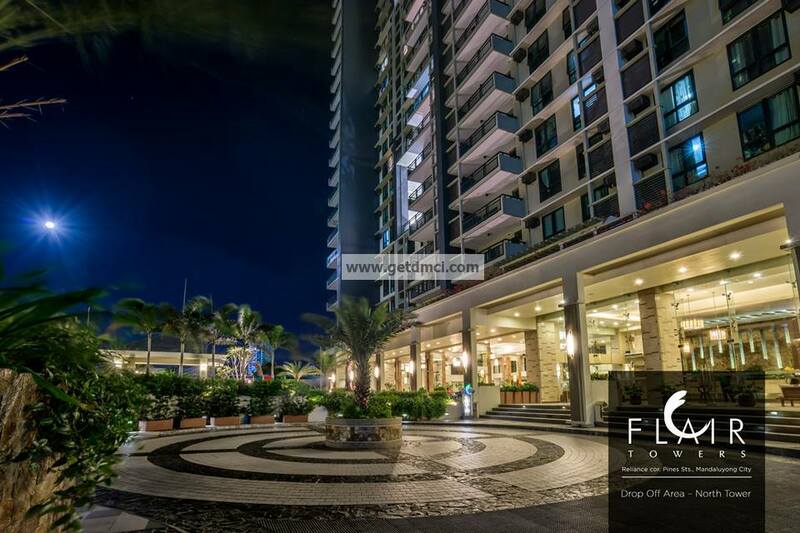 In effect, Flair Towers provides its residents the luxury of time and convenience as it is centrally located and within minutes from the Ortigas, Mandaluyong and Makati CBDs. 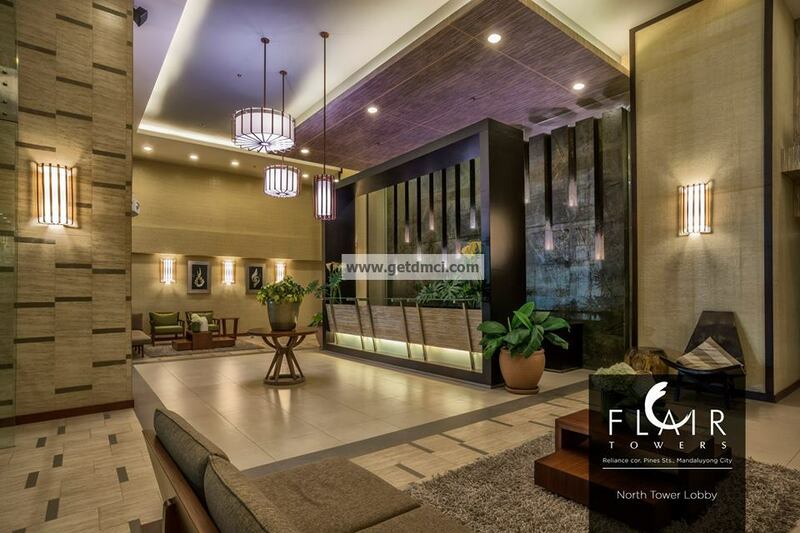 [caption id="" align="alignnone" width="1000"] Location map[/caption] Flair Towers is ideally located in the heart of Metro Manila, Mandaluyong City. Make a right turn at Reliance Street. Make a left turn at Sheridan Street and another left turn to Reliance Street. 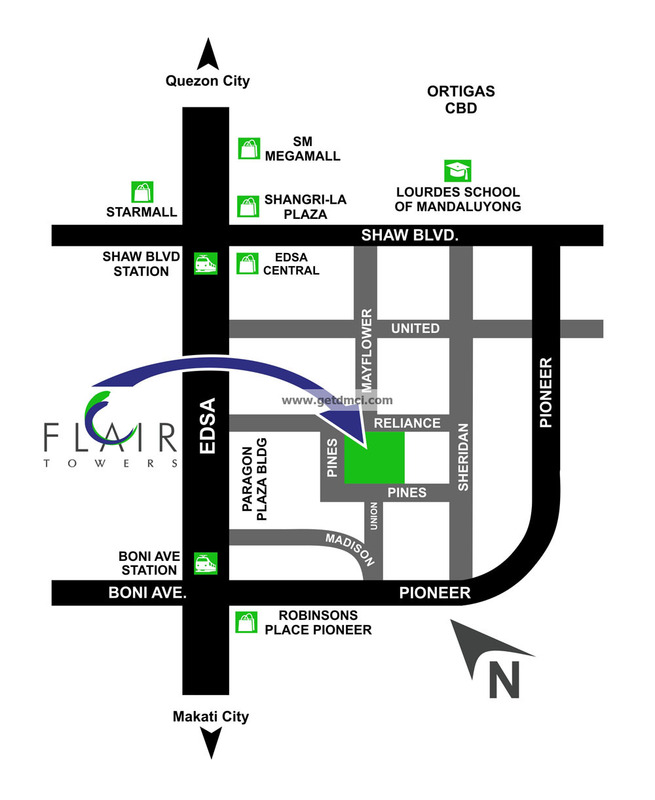 From San Miguel Ave, proceed to Mayflower Street, until the Intersection with Reliance Street. 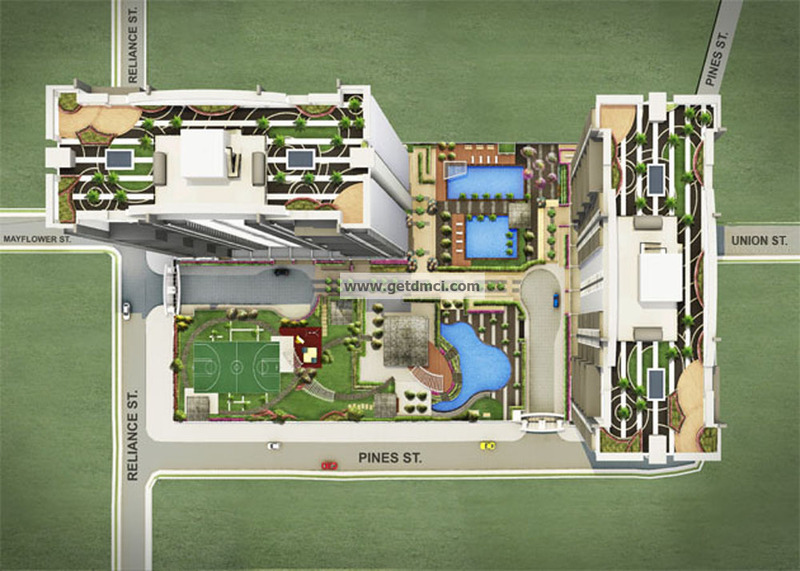 [caption id="" align="alignnone" width="1000"] Site development plan[/caption] The only private and genuine resort-inspired high-rise condominium that features abundant outdoor and indoor amenities paired with DMCI Homes’ unique building design technology, the Lumiventt design technology for young and discerning urban families. 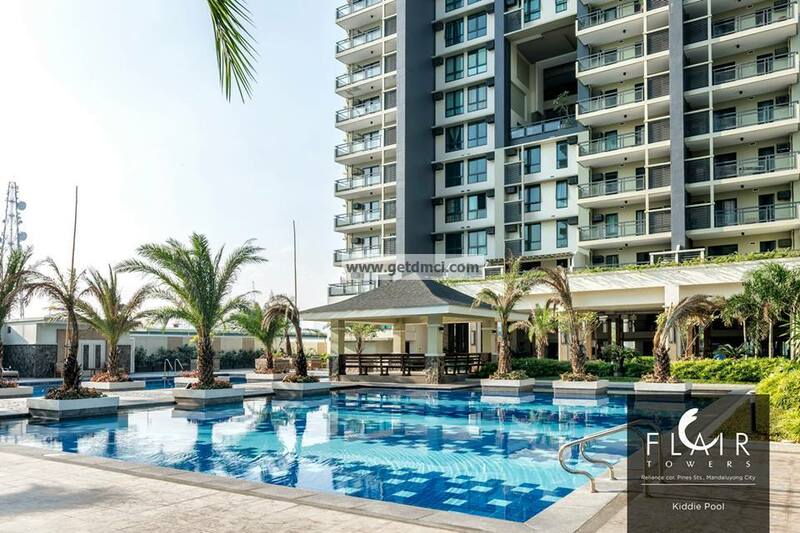 Situated atop 1.4 hectares of prime land and with 70% of land area allotted to amenities, one is assured of quality and a natural home setting for the young urban family. 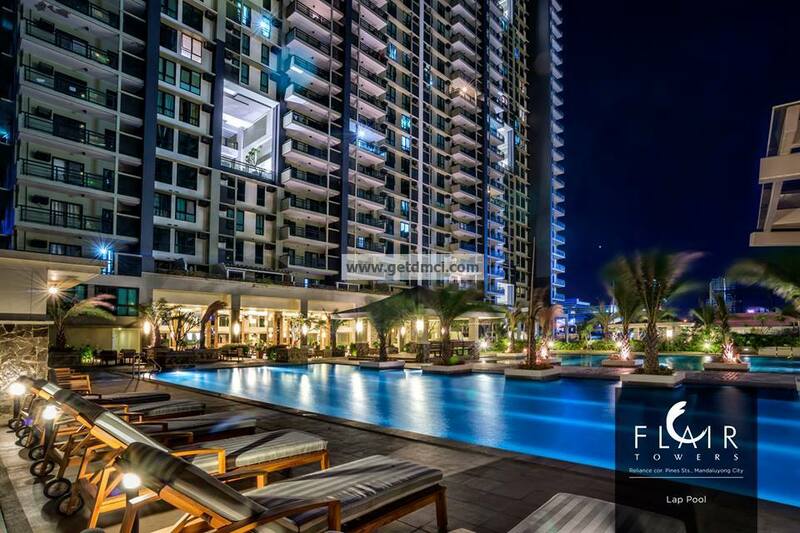 Please be advised that all units at Flair Towers are currently sold out. Schedule site visit with Mikko or Noemi for personal discussion of re-open process. 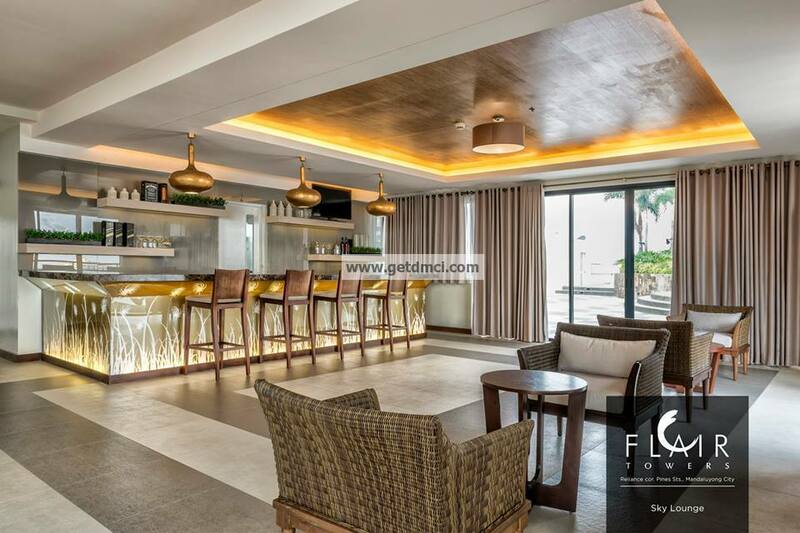 Genuine Resort Inspired Living From the grand arrival area to the distinct and abundant outdoor amenities and landscaping, residents are sure to imbibe the genuine resort and country–club feel of Flair Towers. 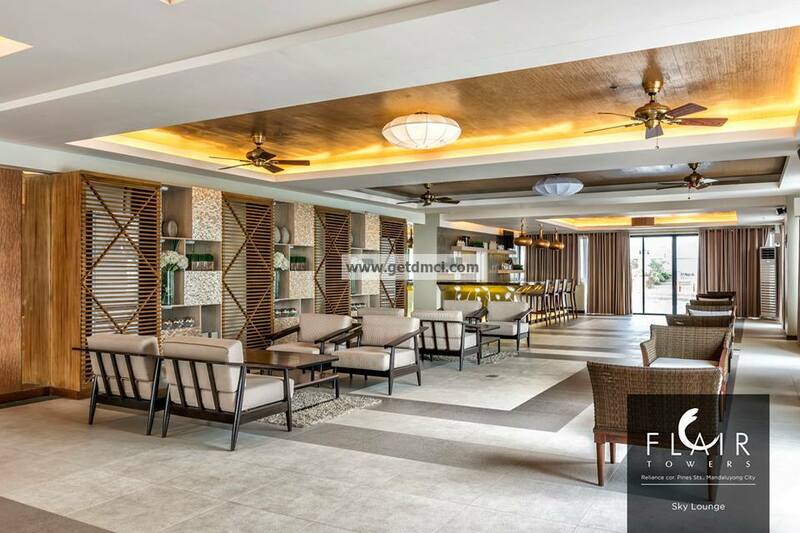 The various amenities are also specifically designed and chosen to provide venues for community living and social interaction among residents and sustain the active lifestyle of our residents. These are centrally located and easily accessible to all residents to create a sense of unity throughout the development. 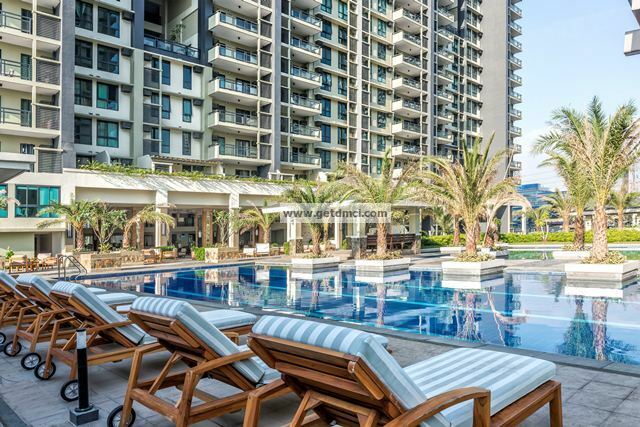 Elevated infinity pools, water walls, skylight arbors, lighted pool walkways and decks are just some of the distinct features of the Central Amenity Core. 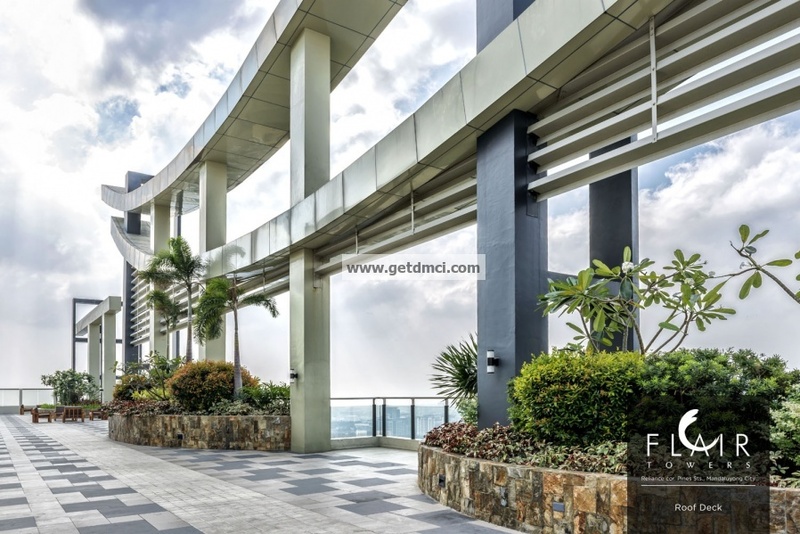 Living The Cosmopolitan Lifestyle For the urban dweller, amenities such as the Sky Lounge and the landscaped roof deck is the perfect place to enjoy the city skyline. Another real treat for our residents will be the balconies in all units for them to have intimate moments against the city backdrop. 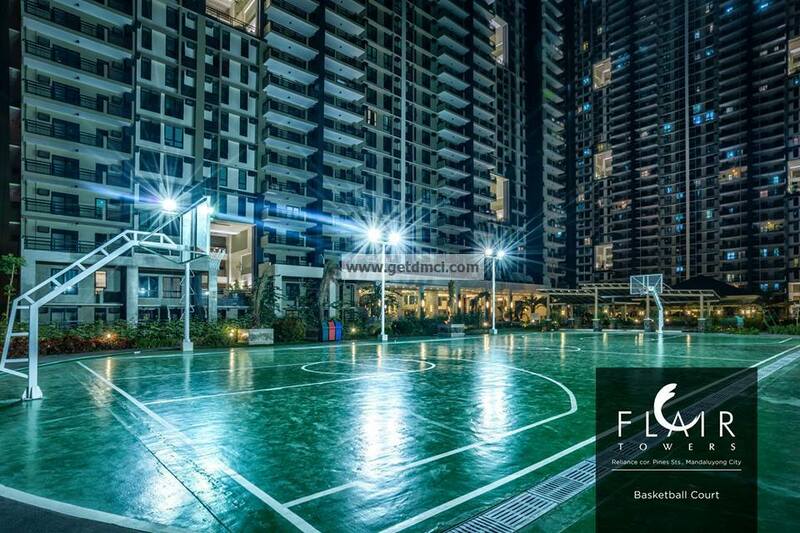 Worry free Living It’s the only exclusive high rise residential village in the area that’s gated, guarded 24/7 for residents’ security and peace of mind. 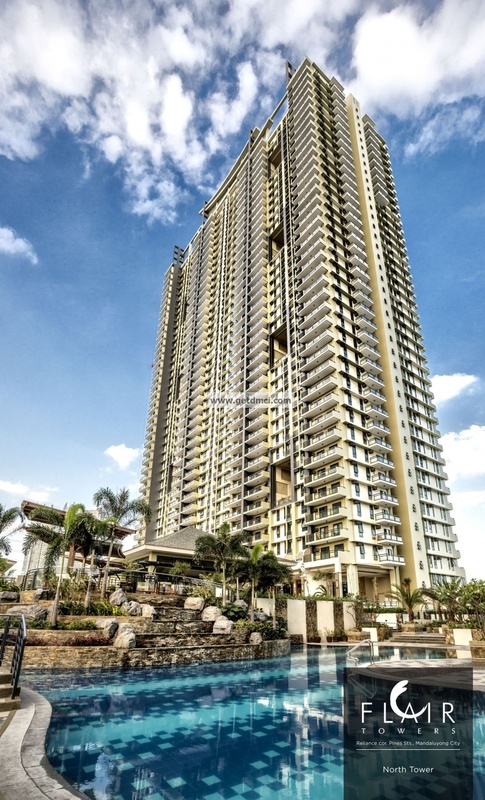 All units are finished and turnover specifications allow for immediate move-in. 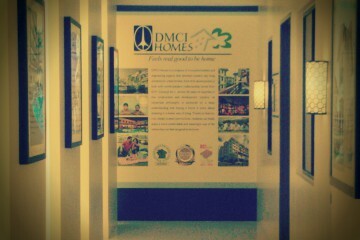 Our property management office provides the round the clock upkeep and maintenance of common areas.